Image credit: © Gary Meredith at Flickr. All rights reserved. Used with permission from the artist. Family: Macropodidae – kangaroos, tree kangaroos, wallabies, pademelons, etc. Shades of brown to brownish-gray; paler on underside. White stripe along lower jawline. Often darker face, paws, elbows, feet, and/or end of tail. Southern Australia, from Shark Bay to southwest Queensland. Includes west New South Wales, west Victoria, and Kangaroo Island, South Australia. Various types of open woodland, scrubland, and grassland. Also, pastureland. Populations reported to be increasing; Australian Government estimates 4.8 million individuals (2017 surveys). Bipedal hop, especially at higher speeds. Use four limbs and tail to walk at slower speeds. Strongly influenced by temperature and day length. Rest when weather is hot; active when cool (dawn, dusk, at night). Influenced by season, weather, location, and food availability. Highly social. Structured groups and subgroups, but considerable movement of individuals in and out of groups. Adult females with young and juveniles form the core of groups. Mainly grasses (native and introduced). Some shrubs, trees, and other types of plants. Also consume some crops and “poison bushes,” which have fluroacetate toxins as a defense. Adults: humans, and in some areas, dingoes; historically, the Tasmanian wolf/Tasmanian tiger, before arrival of the dingo from Asia. Young: European red foxes and Wedge-tailed Eagles thought to contribute significantly to mortality of young, but more research is needed. © 2017 San Diego Zoo Global. Population estimates updated May 2018. We wish to thank Dr. Sarah Garnick for providing expert content review of this fact sheet. 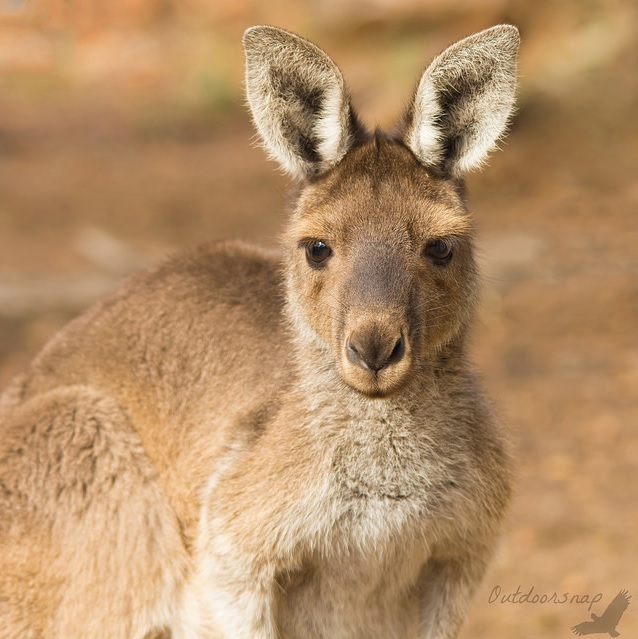 Dr. Garnick has a decade of experience working with kangaroos and wallabies (macropods) across Victoria, Australia. She completed her PhD on the habitat and diet requirements of macropods in southeastern Australia at the University of Melbourne in 2014. She has worked for the Victorian State Government on biodiversity protection across public and private lands. At the time of this writing, she is working to improve methods for determining herbivore diet composition for rangeland managers at Texas A&M University, USA.